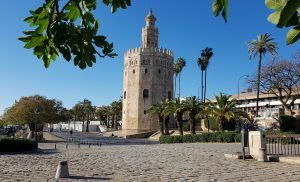 Seville (Spain) — April 8, 2019 (travelindex.com) — Delegation of Global Tourism Economy Research Centre (“GTERC” or “the Centre”) attended the 19th WTTC Global Summit at Seville, Spain to on April 2-4. Led by Pansy Ho, Vice Chairman and Secretary-General of Global Tourism Economy Forum (“GTEF” or “the Forum”), the delegation comprised of members of China Chamber of Tourism and China Women’s Chamber of Commerce. Its presence showed full support to summit host World Travel and Tourism Council (WTTC), one of GTEF’s influential international supporting units. The Forum also aimed at promoting and enhancing the awareness on GTEF 2019 among over 1,000 prominent leaders from business, hospitality, leisure, travel and tourism sectors, including renowned brands such as Hilton, Royal Caribbean Cruises, Stewart Grand Prix, Jones Lang LaSalle, TUI Group and Mastercard, etc. Among the prestigious summit speakers were Barack Obama, the 44th President of the United States of America; Zurab Pololikashvili, Secretary General of the World Tourism Organization (UNWTO); Pedro Sánchez, President of the Government of Spain; and Gloria Guevara, President and Chief Executive Officer of WTTC and Honorary Chairman of GTEF, to name a few.